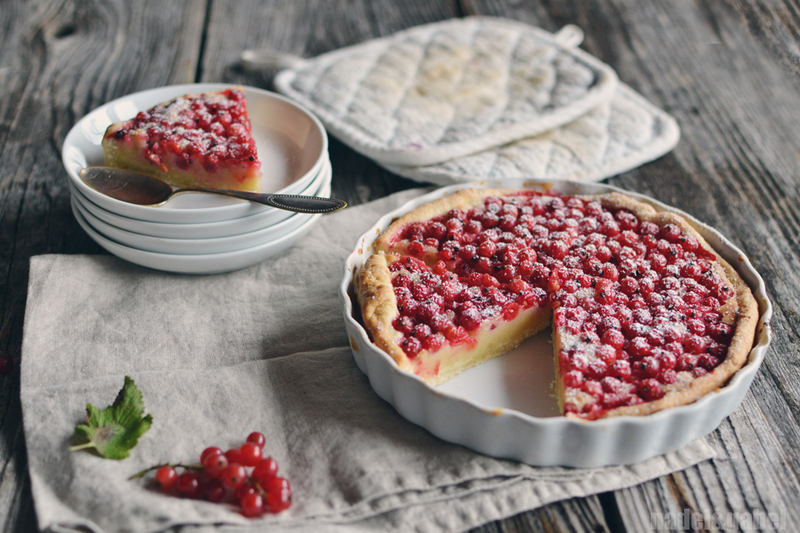 When you would ask me about my favourite summer cake, my answer would always be the same: A “Träubleskucha” (red currant cake) the way my grandma always made it and how it is still made in our family. 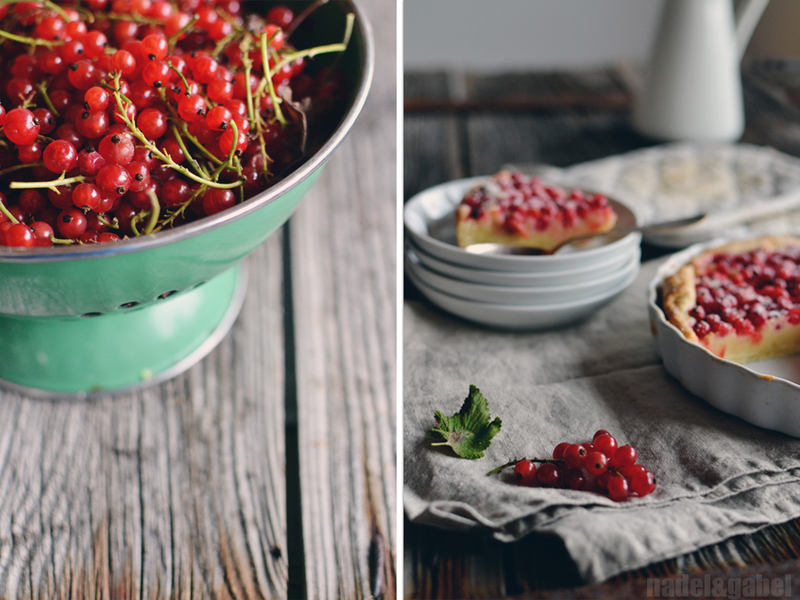 Red currants always bring childhood memories with them. I remember the garden of my parents that produced such masses of red currants throughout the summer season that we were busy to handle all of them – besides all the other fruits and vegetables that were on their peak. 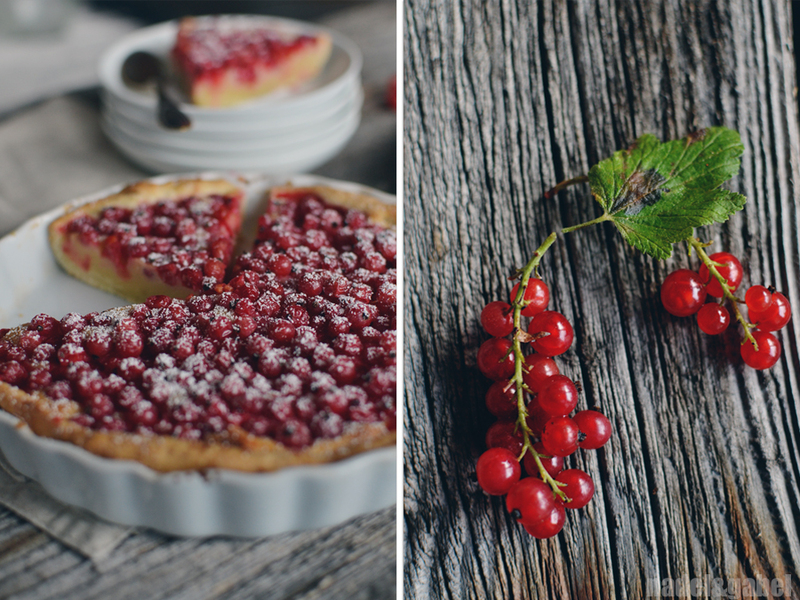 Bowl after bowl, bunch after bunch my sister and me worked our way through the berry harvest, transformed them into juice and and jam with our mother and finally filled the freezer with currants to bake them into cakes, later, when summer already had gone. The last bags of frozen berries were kept like a treasure. And somehow my mother always managed to have at least one ration left for my birthday in late April. 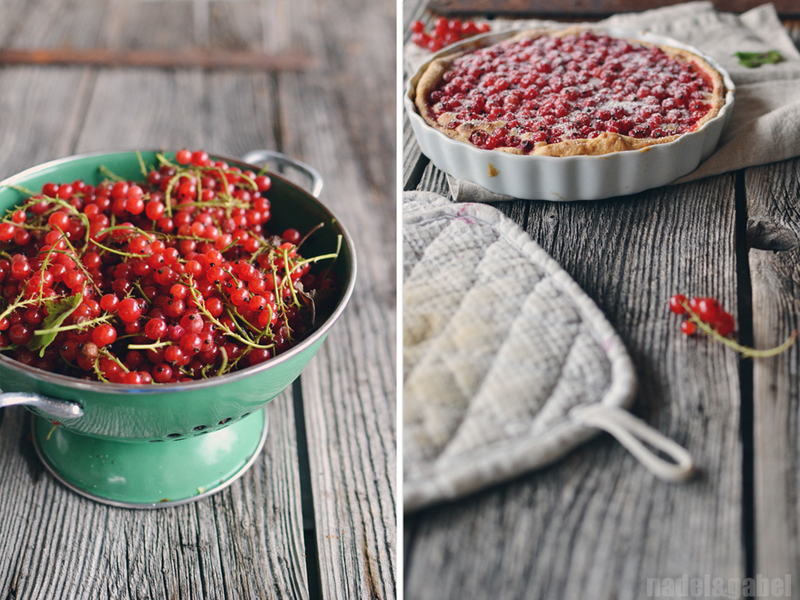 I couldn’t imagine a birthday without a red currant cake. A few days ago, when I visited my parents again, I could admire their garden in full summer blossom and when I left I had a big box of red currants in my car boot. 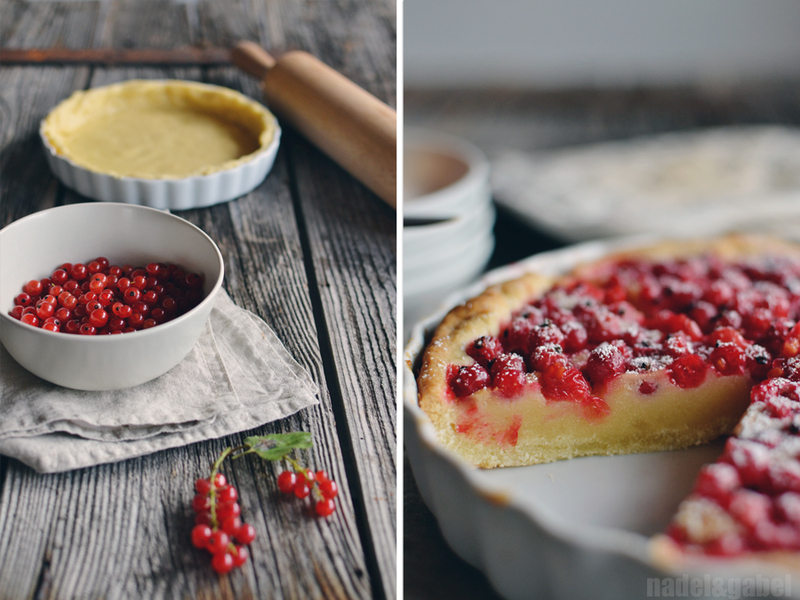 Besides cooking most of the berries into jam, this time I wanted to look on red currant cake from a new perspective and stumbled on a version of Swedish “Mazarintårta” complemented with red currants. 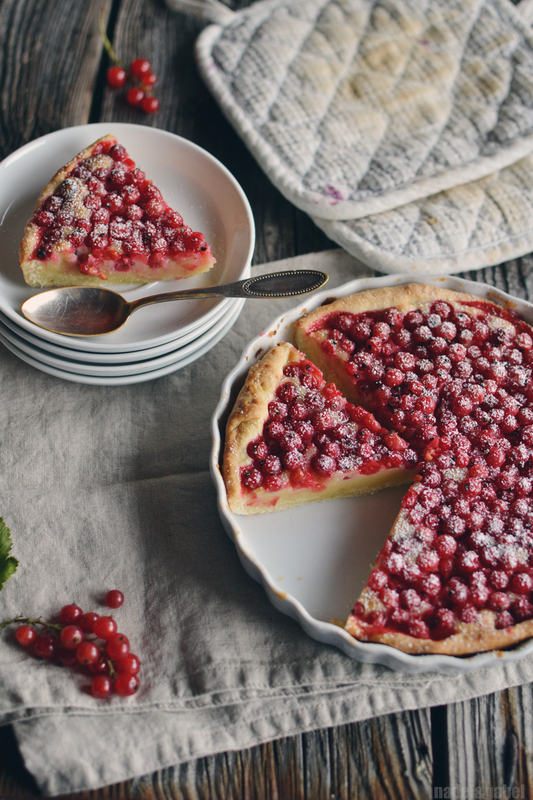 It turned out – like I expected – that sweet marzipan/almond and sour currants go perfectly well with each other, … that this combination in fact goes so well with each other that this tart didn’t survive one day in a two-person-household. I guess this is proof enough. Enjoy summer fruit and vegetable and freeze, can, juice as much as you can for the upcoming poor months! In a small bowl combine flour and cold butter (cut into cubes) until crumbly. You can do this by using a fork or by hand. Now add sugar, egg and salt and knead until everything comes together. Don’t overknead. Wrap pastry in plastic foil and store in the fridge for at least 30 minutes. Meanwhile wash and pluck currants. For the filling whisk all ingredients together until you’ve reached a smooth cream. Set aside. Preheat oven to 200°C. Roll out pastry, butter tart pan. Lay out tart pan with pastry. 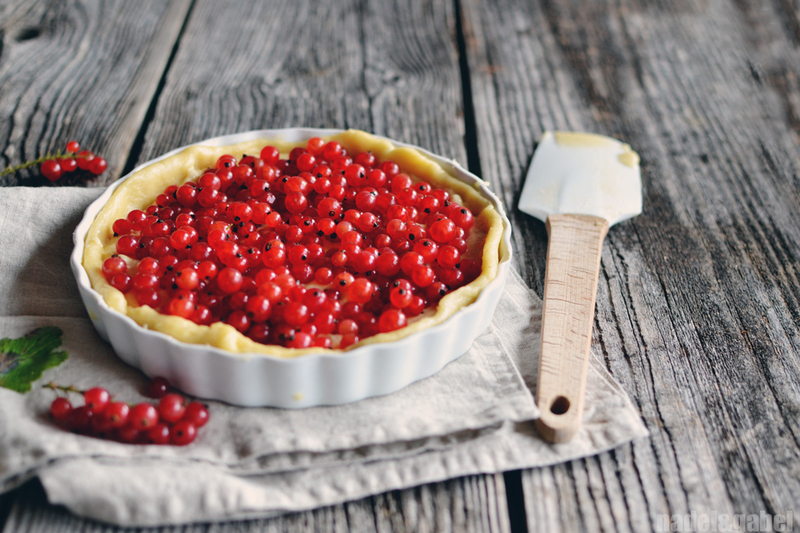 Spread marzipan cream on pastry and top with red currants. Gently press them into the cream a little bit. Bake for 25-30 minutes. Cool completely and dust with icing sugar before serving. Am Wochenende gleich nachgebacken und für sehr lecker befunden (allerdings kann immer noch kein anderer Kuchen den Träubleskuchen Deiner Oma toppen)!